Let us celebrate today a God-loving and God-driven man. 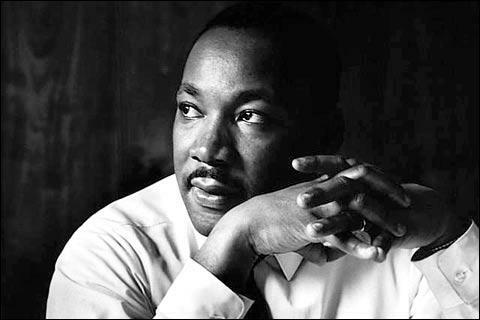 A man who evil took away, but whose message of Love remains—-Dr Martin Luther King, JR. Yes, I believe one of the greatest. Thank you so much for that. I did not know of his private life, but I remember when he was still alive and my mother having great reverence for him. She made sure me and my brother knew who he was and made sure we heard his words and saw him whenever he was on television. We were also taught of the atrocities that were perpetrated in the deep south against blacks. We watched as they were beaten when they tried to protest. But my mother remembered a time when it was not uncommon to see even more horrific violence against them. We lived in Houston, Texas when I was growing up. It was a melting pot of several races and there was more tolerance among whites for others, especially since in the area I grew up the Hispanics were half of our population. I live in a rural area now 200 miles north of Houston. When I first moved here when I was 26 years old, I found racism was a way of life. I found myself defending people of color against bigots daily. It has changed quite a bit since then, but it is still a place where in private people feel they can reveal their bigotry. I still find myself on occasion letting people know where I stand and that talk is not welcome in my home. makes sense how a successful man won with love and a big desire… I think he must have read Think and Grow Rich. He surely was special. He has a special place in heaven, too, I’m sure.